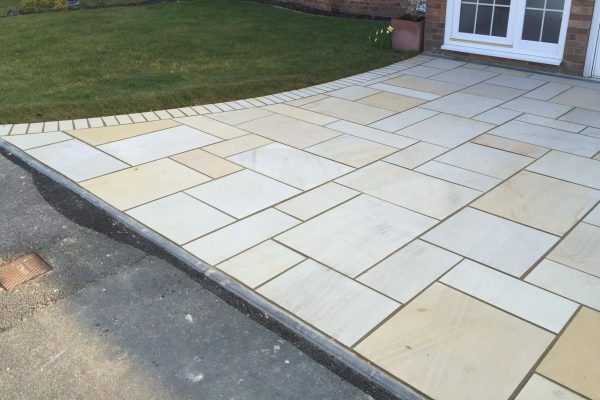 This project was a prime example that you can have durability at an affordable cost. 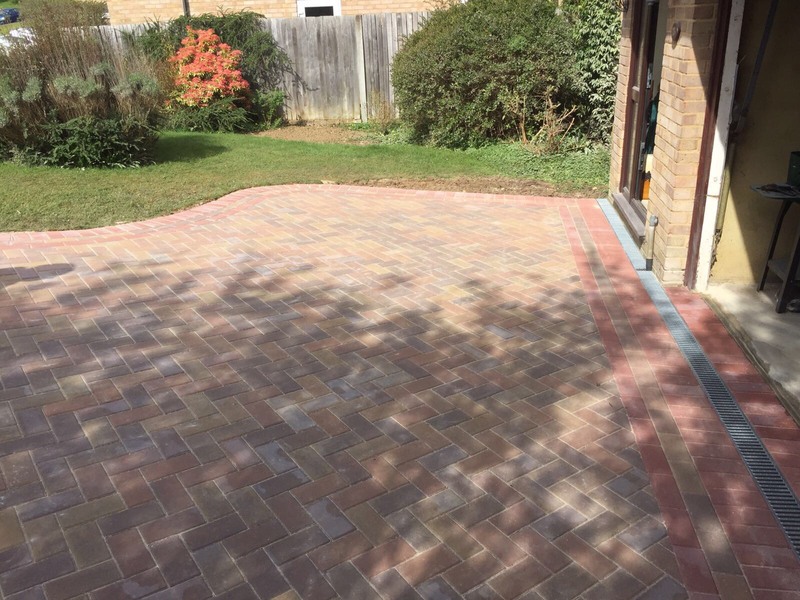 This customer had budget in mind and once we were aware of this we knew that using a Standard Block Paver would be the perfect option for this customer, not only providing a durable driveway but giving them a premium look at an affordable cost. 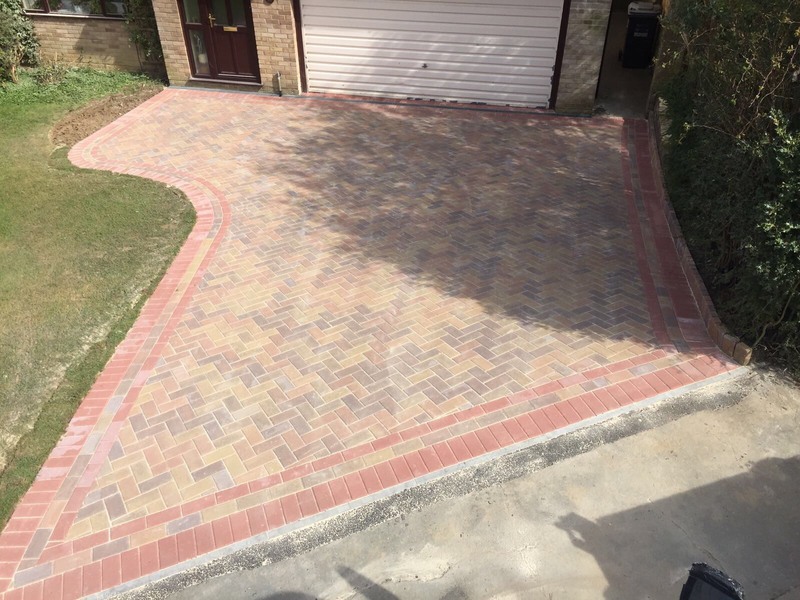 The customer then decided on the colour which was ‘Sunrise’ with a red double brick edging. 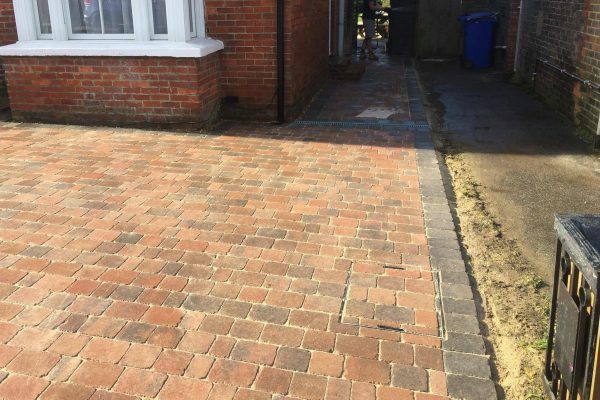 This particular haywards heath driveway installation was on a large slope which was directed towards the property so we had to ensure that the correct drainage was installed to prevent any flooding. Once we excavated in the existing driveway we then laid the concrete sub base in preparation for the block paving. Once the concrete was ready, we laid a sharp sand which was levelled out using a vibrating plate to compact the sand. 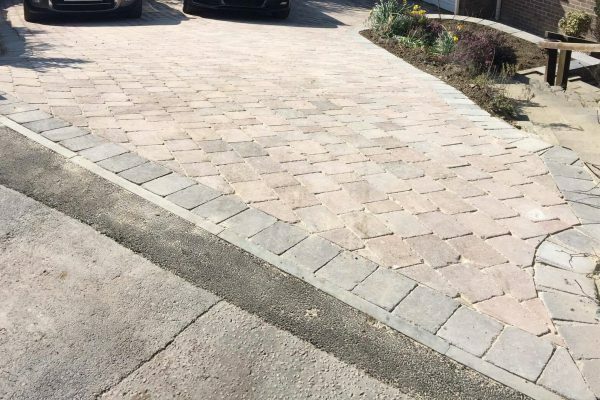 We then laid the Standard Block Paving in a Herringbone pattern. We finished off the project sweeping a layer of Kiln Dried sand over the surface to fill the joints and using the vibrating plate once more to ensure that the joints are filled with jointing sand.